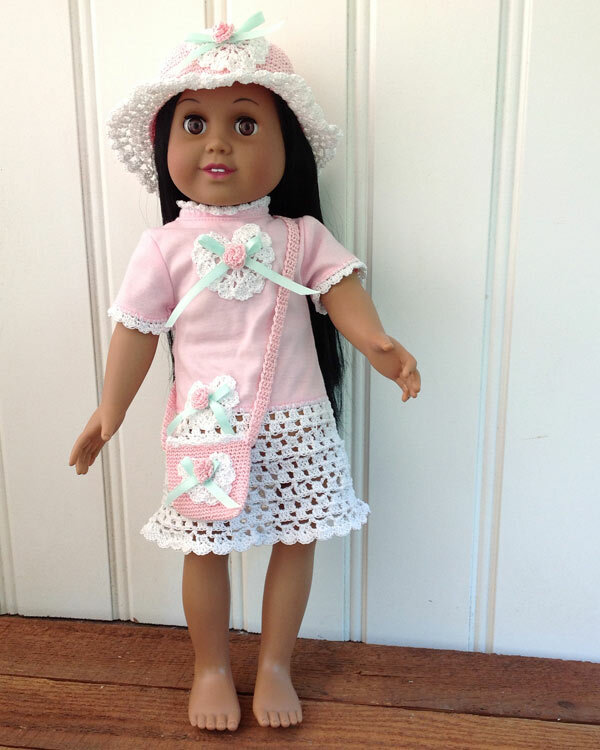 This summer we are releasing our newest edition to the American Girl collection with our festive t-shirt dresses. 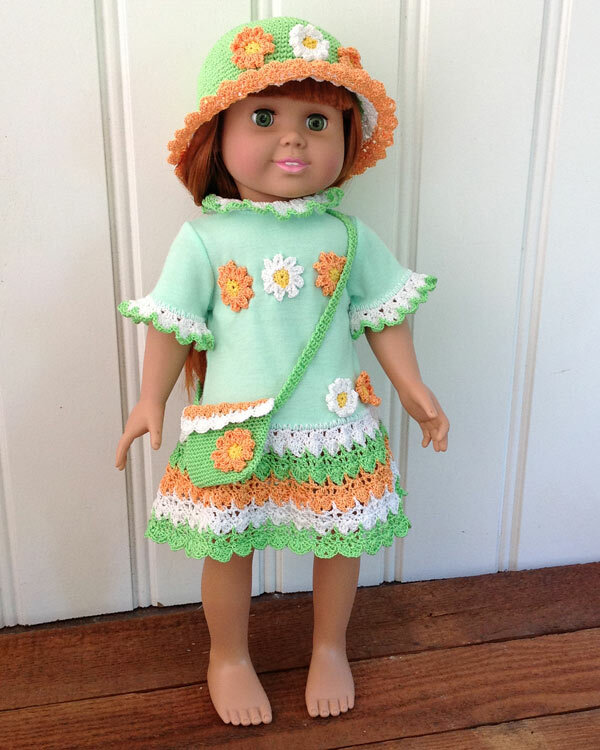 No outfit is complete without her matching purse and sun hat. 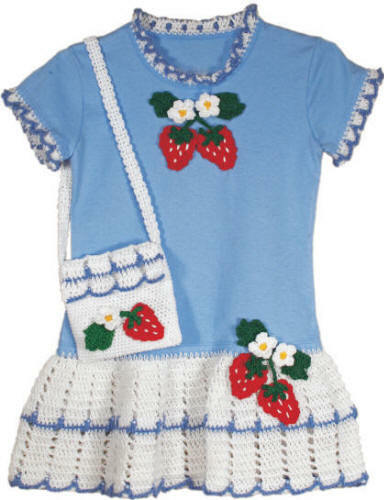 These stylish dresses come in a variety of colors and designs which make them perfect for any occasion. 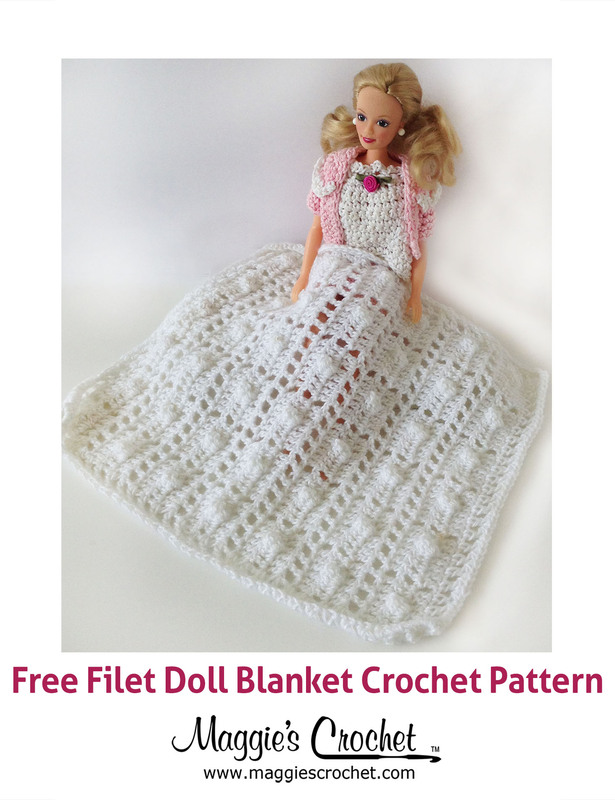 These creations also come with matching outfitS for little girls as well. 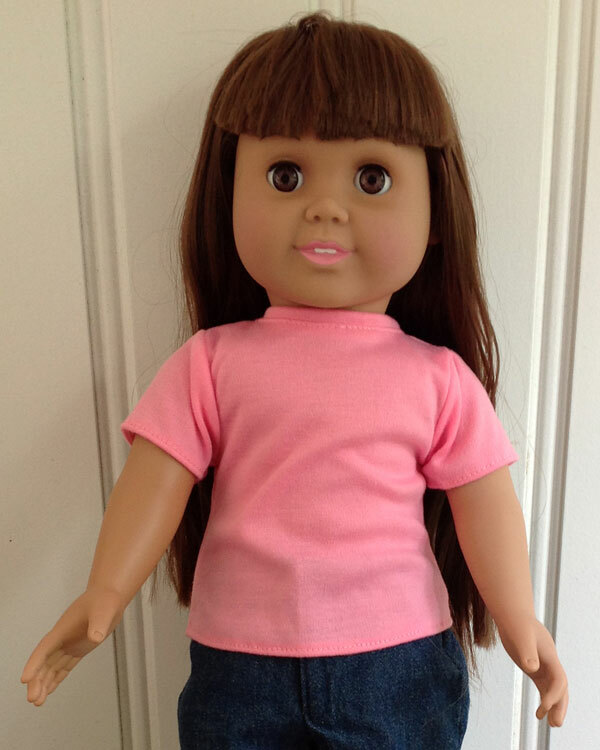 Maggie’s t-shirt dresses are easy and work on any size t-shirt. 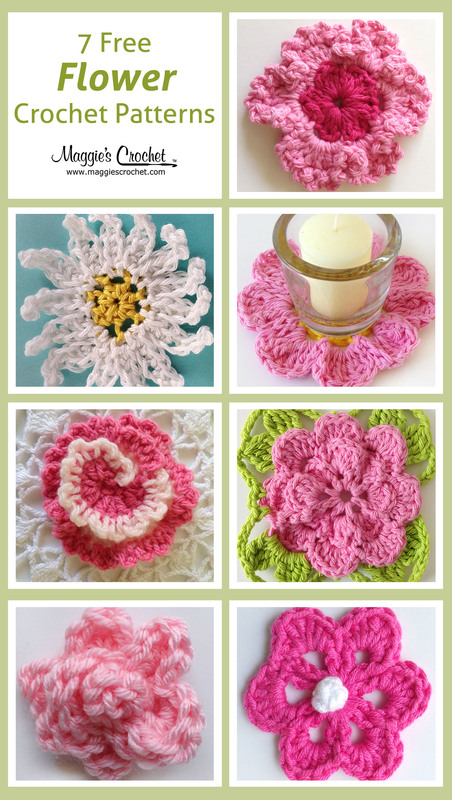 You can’t go wrong with a floral design, and Maggie made sure that there was something for everyone when creating these fresh-from-the-garden patterns. The two partners in crime will be roaming the streets in style this summer with their matching get ups. 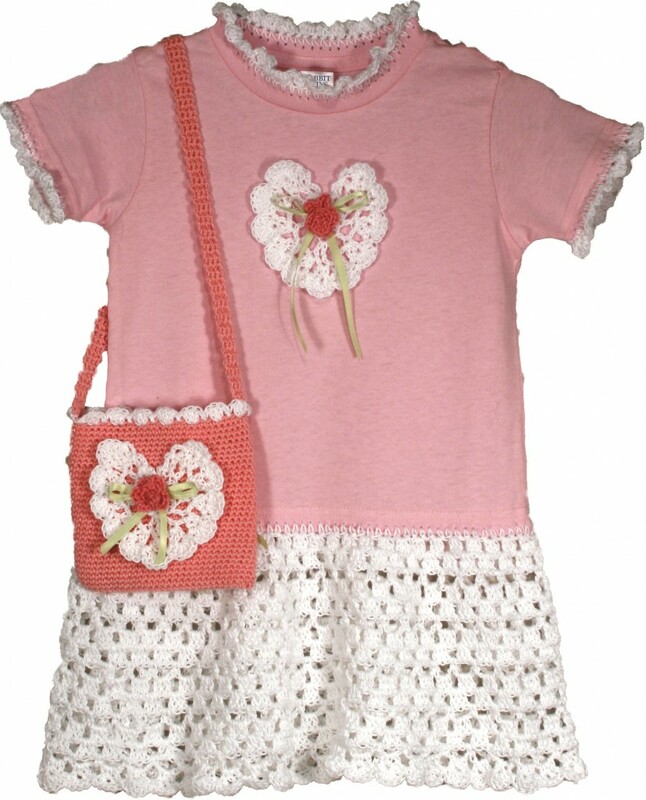 Try the doll rose t-shirt dress in a blushing baby pink. 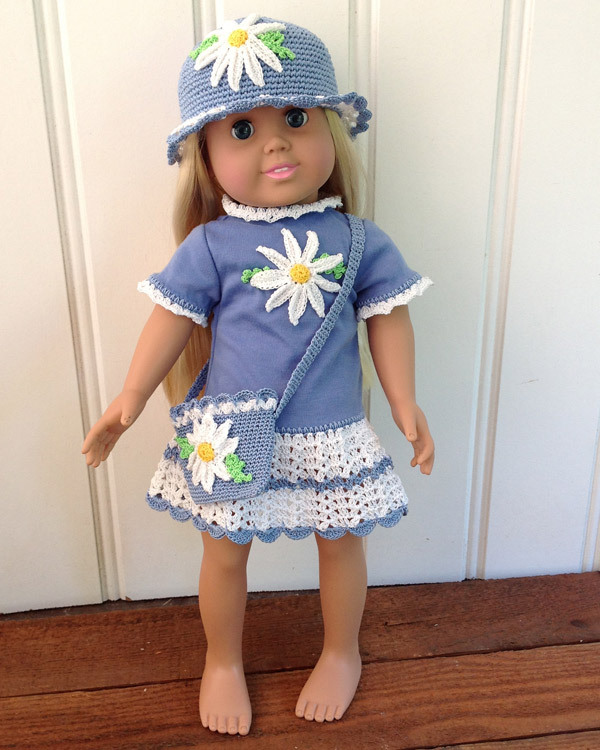 Create a daisy themed t-shirt dress in a darling purple. 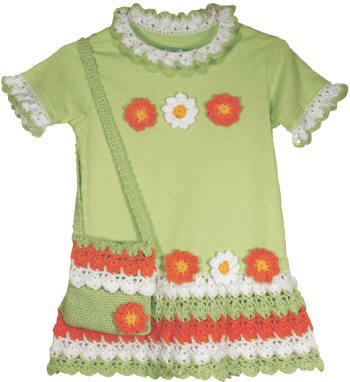 Or go a little wild with flower power and use bold colors such as green and orange. 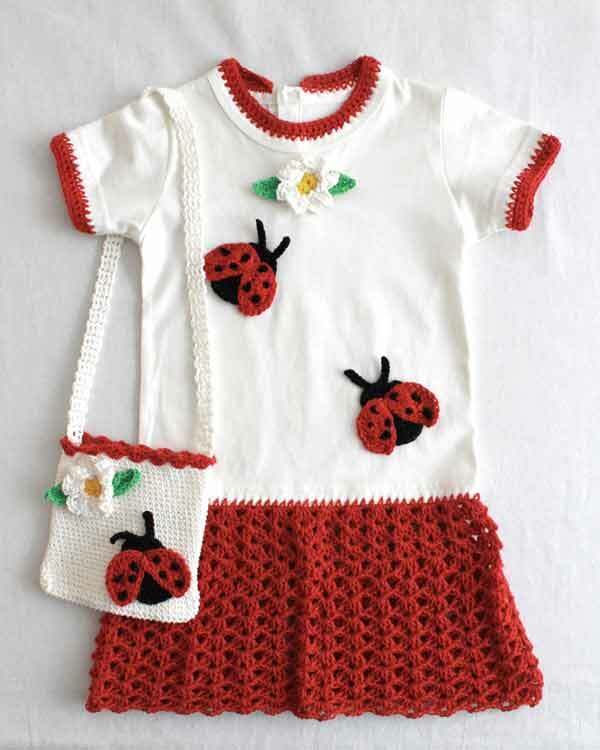 These adorable designs come not only in floral patterns, but are also available in sweet strawberry. These adorable companions are sure to turn heads and have everyone wondering where their little ones can color coordinate with their mini me. 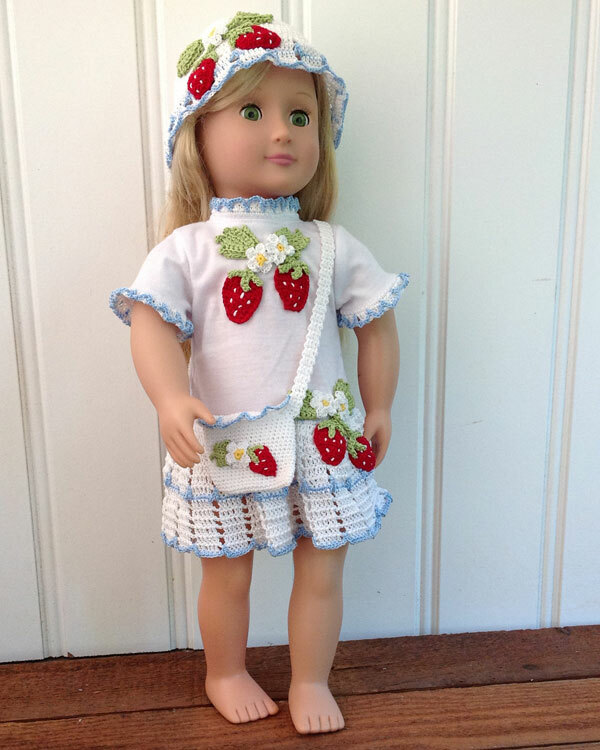 Enjoy the wonderful summer weather, and it doesn’t hurt to strut around town like the little fashionista she is. 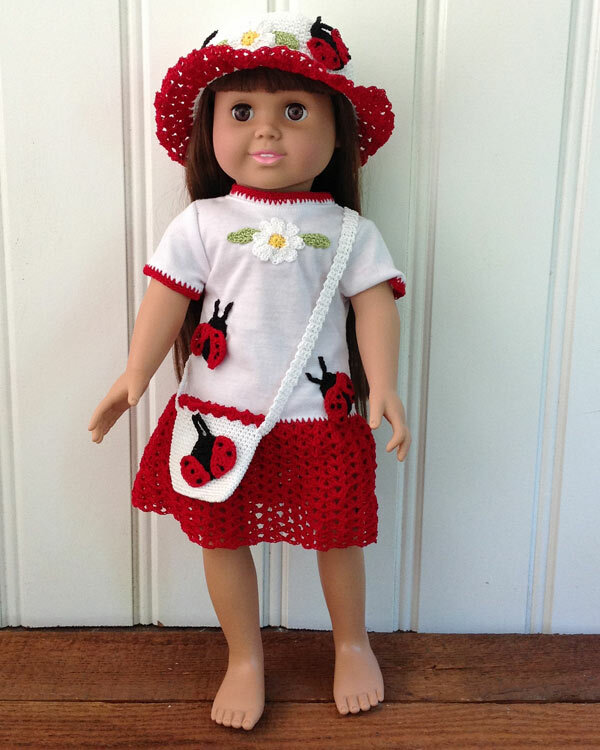 Don’t forget that Maggie’s Crochet also carries 18″ doll t-shirts in a variety of colors! 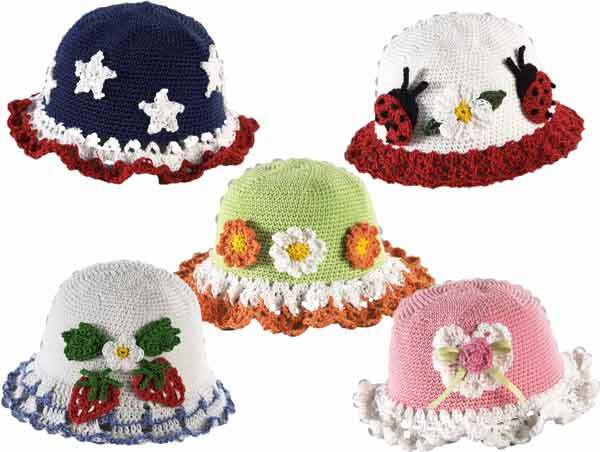 T-shirt dress hats for little girls can be bought in this pattern set. 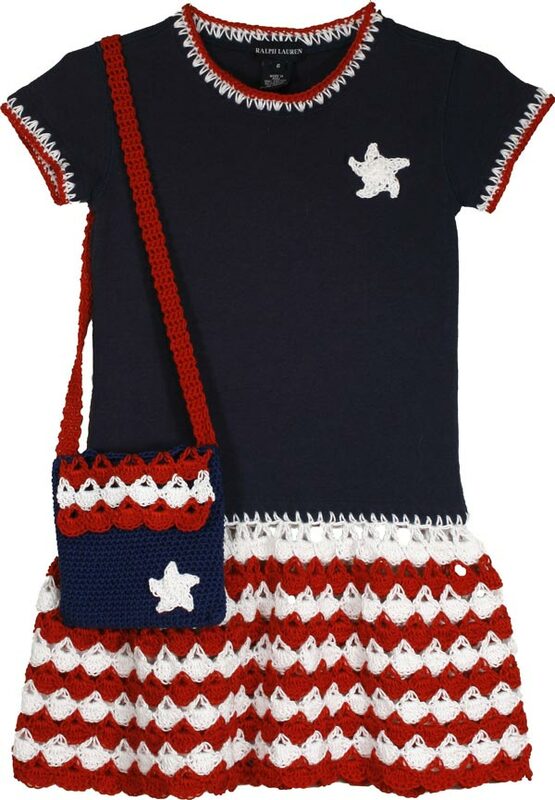 Pair the patriotic hat with out matching patriotic t-shirt dress. 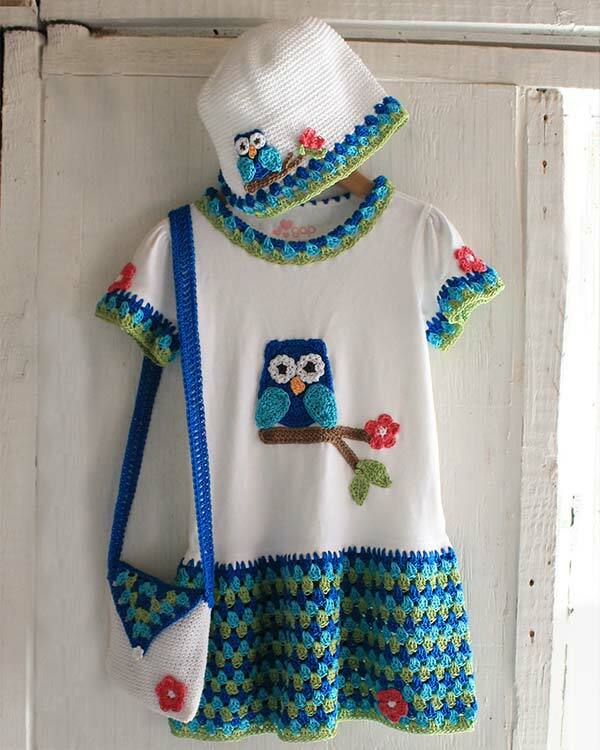 If you like these t-shirt dresses then you’ll love our new owl t-shirt dress! 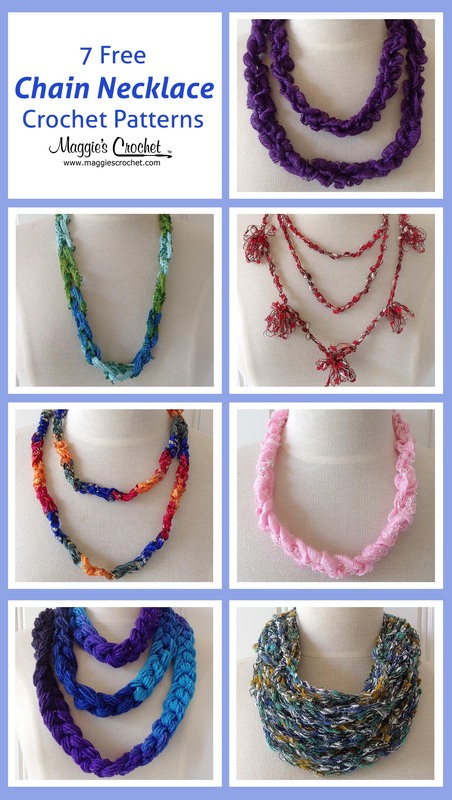 For more owl crochet designs, read our blog Crochet Patterns for the Wise. 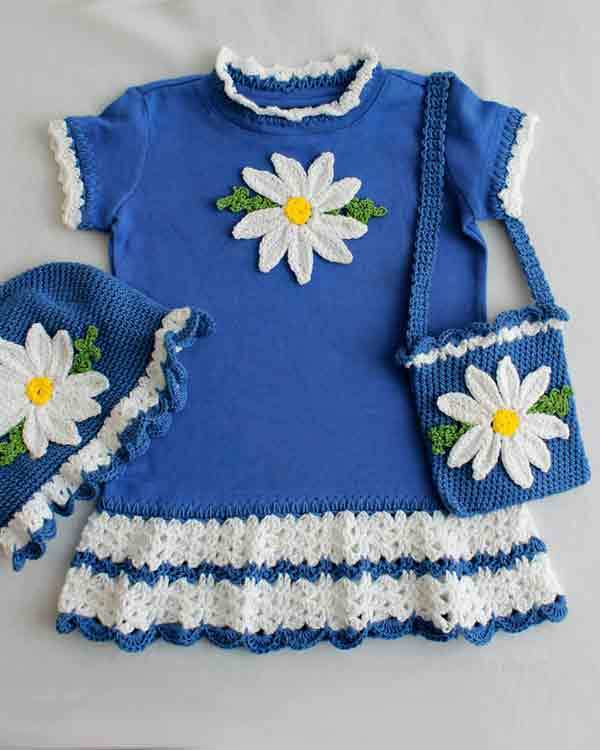 Muchas Gracias Magiess Crochet; muy hermosos y profesionales us trabajos, nos ayuda tanto, Dios recompense su generosidad.Tejo por que me encanta tejer, ahora le tejo a mi primera neitecita y por eso le estoy agradecida.